Why Move to Greenville, SC? Why Retire in Greenville, SC? Rare opportunity in Chanuessy for a custom home that has it all. 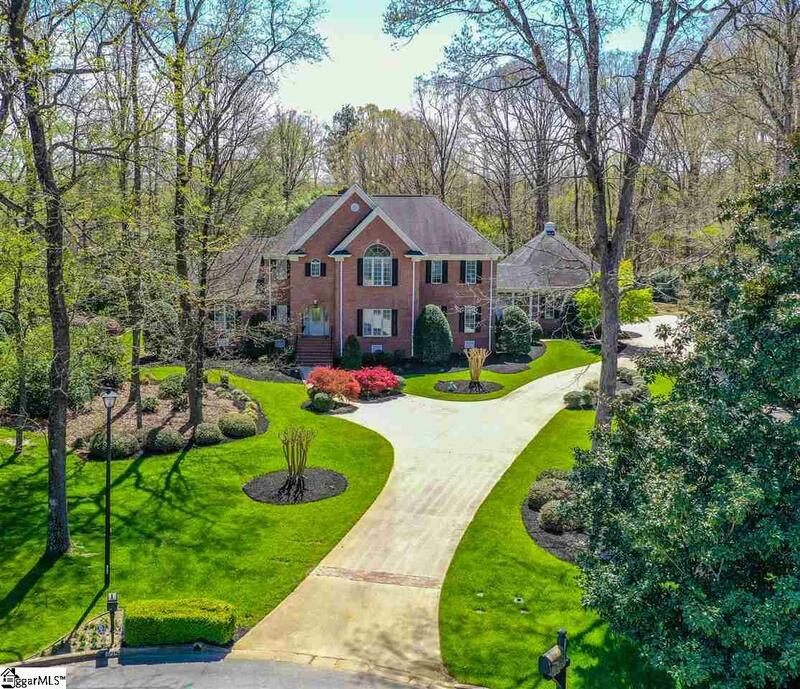 Beautiful 4BR 3.5BA home at the end of a cul-de-sac situated on professionally landscaped and private 1 acre lot. 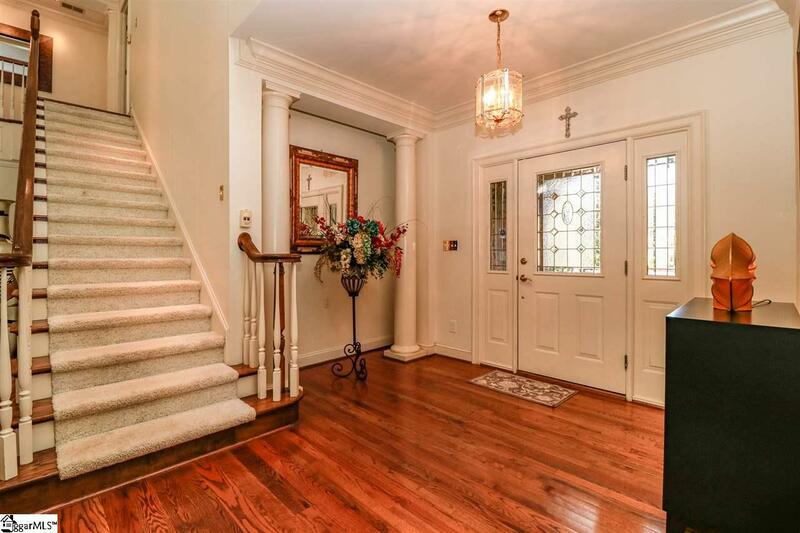 When you walk in the front door and step into the large foyer you are immediately greeted by the amazing hardwood floors and expansive great room that is perfect for entertaining. This flows seamlessly into the huge kitchen and dining area. 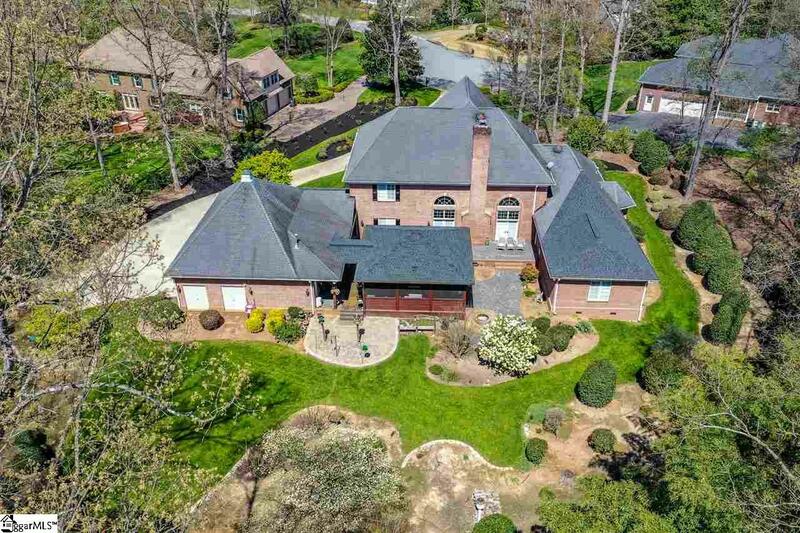 With a master bedroom on the main level with custom closets and large master bath you can relax and enjoy the views of the private back yard. When you are ready to get going in the morning just step into the attached exercise room and start your day with a great workout. Other features on the main level include a separate flex space, currently used as an office, and one of the most impressive laundry rooms in the upstate. Take a look upstairs at the 3 additional bedrooms, all with large windows and great views of the gardens and yard. If you enjoy outdoor living you will not be disappointed. There is a fantastic deck with lounging area and a separate screen porch with grill that you just may not ever want to go back inside. Come take a look either in person or in the 3D Matterport Virtual Tour. Listing provided courtesy of Kevin Lawton of Keller Williams Grv Upst. © 2019 Greater Greenville Association of Realtors Multiple Listing Service. All rights reserved. IDX information is provided exclusively for consumers' personal, non-commercial use and may not be used for any purpose other than to identify prospective properties consumers may be interested in purchasing. Information is deemed reliable but is not guaranteed accurate by the MLS or J. Michael Manley Team. Data last updated 2019-04-26T10:01:17.25. The J. Michael Manley Team is the greater Greenville area's most innovative real estate team.